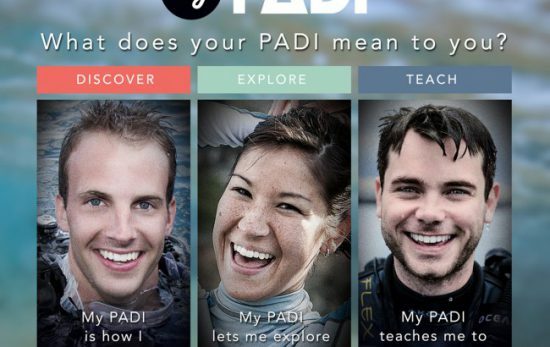 To me “My PADI” means adventure, exploration, education, and conservation. 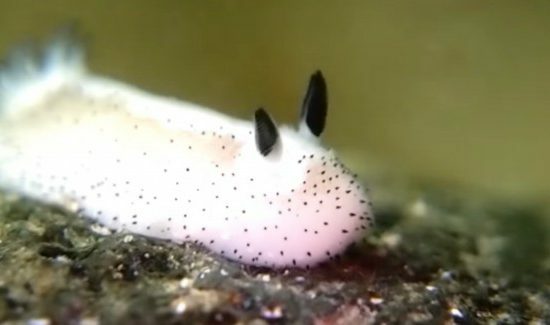 The underwater world is a true wonder. 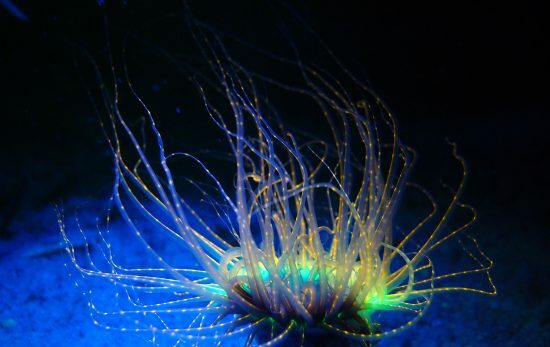 It doesn’t matter how many dives I do, each time I am mesmerized by nature’s incredible beauty. There is so much still to be explored and PADI aids in nurturing that curiosity. The hope is that if we can get people passionate about diving, than we can inspire people to care about the ocean. 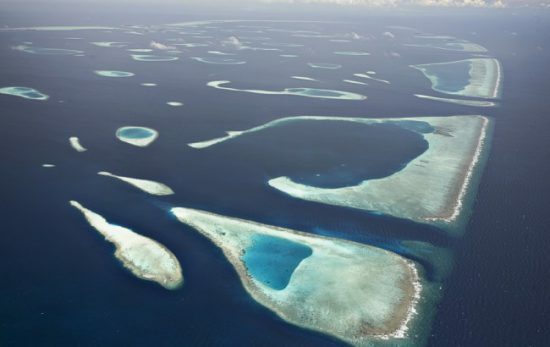 We are connected to the sea, and without a healthy ocean, it is impossible to have a healthy planet. Growing up along the coast of southern California turned me into a water baby. The ocean was my playground and I spent my time surfing, swimming, and snorkeling the kelp beds and reefs in Carlsbad. This got me fascinated by wildlife and instilled my appreciation for the ocean. It wasn’t uncommon to see dolphins swim past you in the surf lineup, or watch seal pups playing in the kelp, or observe the schools of fish and leopard sharks cruising the seafloor. I couldn’t hold my breath for very long, and I always wondered what I could see if I could just stay down a little longer and go a little deeper. After graduating college, my best friend and I decided to plan an adventure to Belize—my first trip out of the country. I told myself, if I was to explore a new country, I wanted to explore it in its entirety, and soak up every ounce of it possible—and that started with the ocean. I was travelling all the way to The Blue Hole (which had been on my bucket list forever) and didn’t want to miss out on all the amazing things to see by being limited to the surface. My curiosity and desire to explore the ocean propelled me to get certified. A month before our trip, I signed up to get scuba certified through PADI at Sport Chalet. My instructor was a former Navy Seal and his enthusiasm and instruction gave me the training and confidence needed to dive The Blue Hole. After that I was hooked. 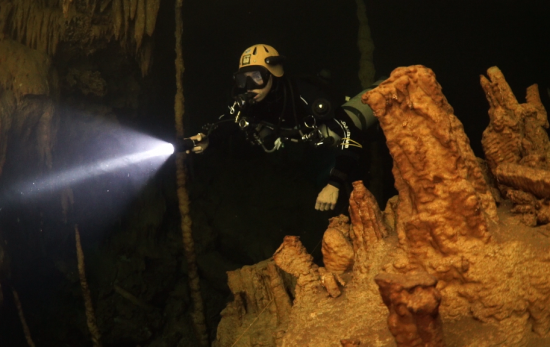 We only planned on doing two dives in Belize and we ended up doing five! Had I never taken the plunge, I would have missed out on seeing turtles, eels, rays, sharks, sea fans, stalactites and stalagmites millions of years old and the privilege of diving a World Heritage Site! Becoming a diver has allowed me to experience wildlife in a way that I would have never dreamed of if I had I stayed at the surface. It has changed my perceptions about certain marine life and their behaviors, it has made me passionate about conservation, and fueled my action in stewardship (it also has given me a really bad case of the travel bug!). It has allowed me to meet and form friendships with an amazing array of people from all walks of life. 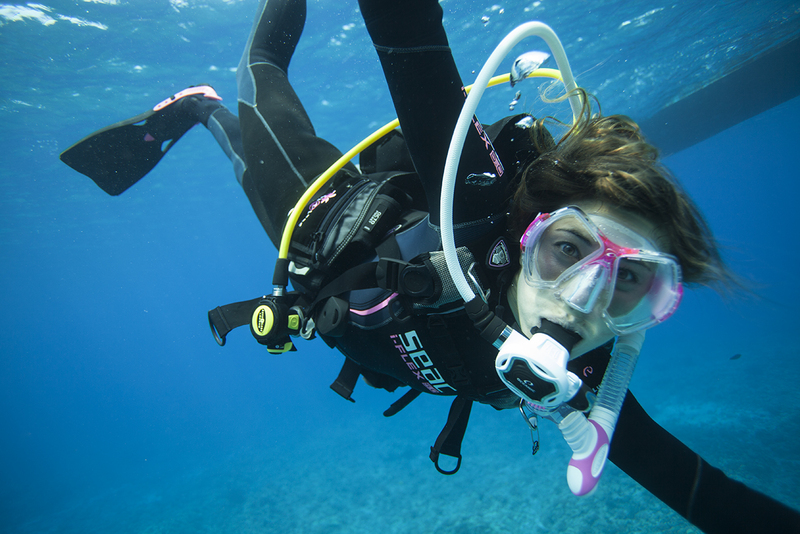 In one sentence, how would you describe scuba diving to a non-diver? Scuba diving is kind of like being an astronaut; you get to explore another world, all while flying. Your story is unique in that you have gone from PADI diver to PADI employee recently and have an insider perspective now. How would you describe that experience and the environment at PADI? It is truly the people and the principles that PADI is founded on that make PADI such a special company. As a PADI diver and PADI employee, I have traveled to different destinations in the world, and each PADI dive shop has something in common. They are dedicated and they are passionate. Their enthusiasm provides people with a positive diving experience and fosters an appreciation for the underwater world. Their dedication to what they do truly makes it a quality experience. The PADI HQ is the same. Everyone is so passionate about the ocean and diving and dedicated to protecting it, exploring it, and educating others about it—it is an inspiring environment to be in. It doesn’t feel like work when you are doing something your passionate about. Every day that I go to work, is a constant reminder that we are a part of something bigger, and that we have a moral responsibility to take care of the ocean. I feel so grateful to work for a company that inspires me every day to protect and conserve the ocean, and travel the world. If you could share a dive with any conservationist or celebrity, who would it be? I would love to dive with Sylvia Earle. She has an incredible legacy in the ocean and is a true pioneer of women in diving. I would love to learn her lifetime of knowledge, and talk to her about the ever-changing ocean. Also I would love to dive with Ingrid Visser. She is a marine biologist and leading orca conservationist in New Zealand and one of the few people in the world that consistently dives with them. What is your favorite dive (or dive site) so far? Why? 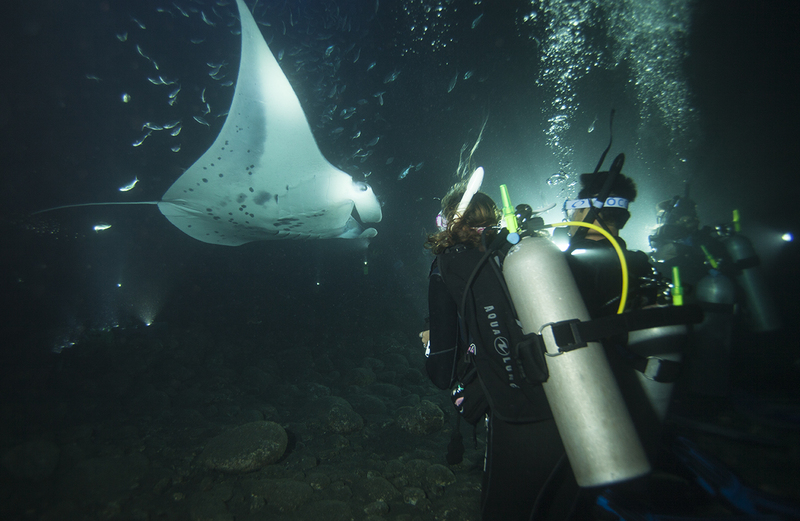 The Manta Ray Night Dive in Kona, Hawaii. We were on a PADI photoshoot, and it was my first time seeing and diving with Manta Rays–and it nothing short of magical. During our experience, 22 mantas soared from all directions and were gliding, flipping, and moving in mesmerizing patterns. I have never been left with such awe and wonder for a species. Their sheer size is breathtaking, and there is still so little known about them. They have the largest brain of any fish in the ocean and were extremely social, swimming within inches of us. After the dive, I came up beaming and feeling incredibly humbled by the ocean and thankful to dive so close to such a large and majestic animal. What is your dream dive? Diving with whales! I haven’t checked it off the bucket list yet and would love to dive with Orcas in Norway or Humpbacks in Tonga! The Galapagos also fascinates me with its amazing diversity of marine life. If someone is hesitant to try diving, what would you tell them? I would tell them that an amazing world is waiting if you just get outside of your comfort zone. And that diving is truly for everyone and anyone. During the time I have worked at PADI I have seen amazing stories. From 12-year-olds becoming PADI Master Scuba Divers, PTSD patients finding healing through diving and handicapped individuals transcending their disabilities, to the incredible marine life interactions witnessed such as a humpback whale and her calf swimming inches away and approaching divers. It is a sport that brings people together, and invokes wonder in anyone that slips beneath the surface. My PADI teaches me to respect and conserve our oceans for future generations.